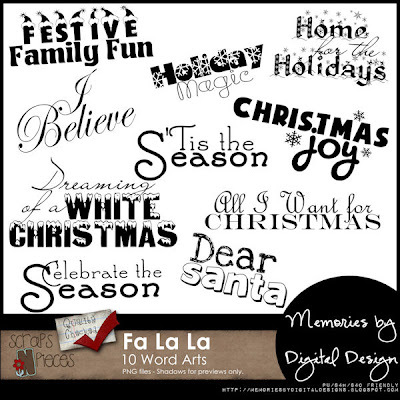 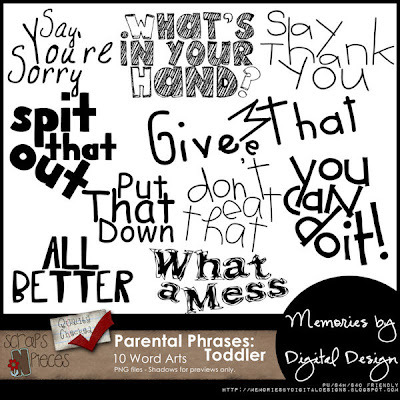 For today's Super Saturday Sale, I am putting my word art packs, Fa La La and my newest release Parental Phrases: Toddler on sale for $2 each. 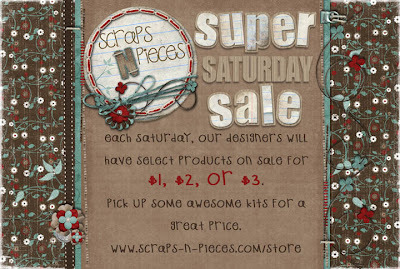 Scraps N' Pieces is putting their At the Cabin kit on sale for $3.00 and the QP pack for it for $2.00. 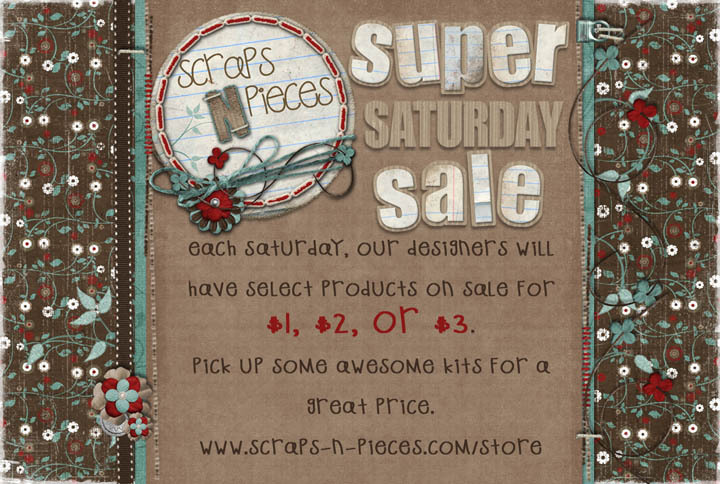 Previews are linked to our Scraps-n-Pieces store.